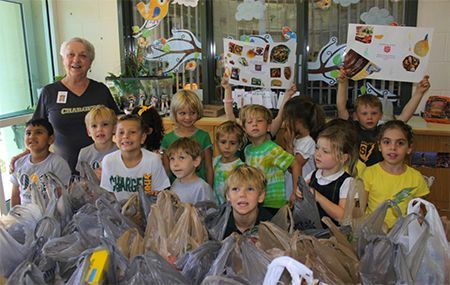 ​Kindergarten sponsored a two week Lower School food drive to benefit the Community Pantry at the Salvation Army Homeless Shelter. The children counted, boxed and bagged 645 donations. Staff from the shelter arrived in a van and loaded the groceries with the children's help. The response from our students and families was a wonderful lesson in the strength of a caring community.